The word "scatter" is usually associated with the sowing of seeds, but in Rotary it implies that members should, for one week, attend a Rotary Club other than their own with the aim of "sowing the seeds of friendship". 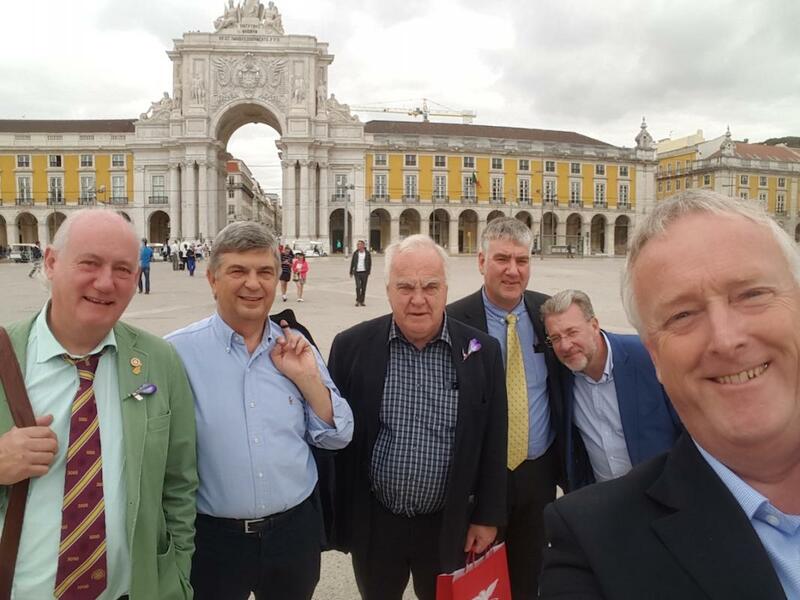 For many Rotarians scattering will mean visiting a neighbouring Rotary Club, but for the past few years a number of the more "robust" members of the Rotary Club of King's Lynn have undertaken a day trip to visit a Rotary Club in the capital city of another country. The aim is to travel as far as possible and to return within 24 hours. 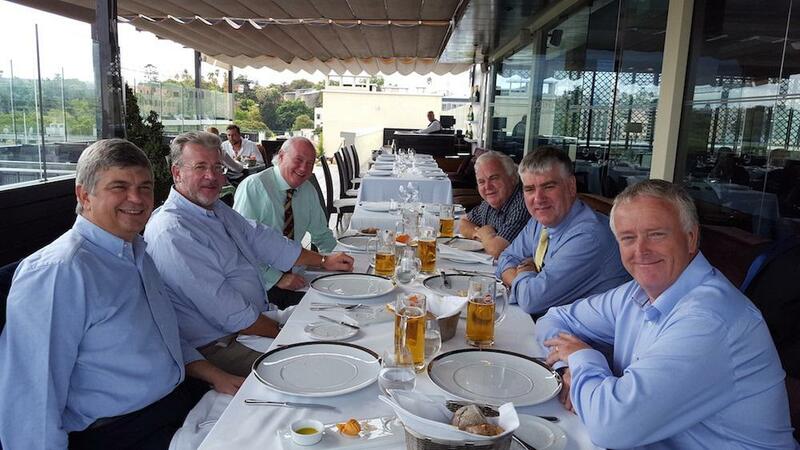 This year, six members* set off in the early hours to fly from Luton to Lisbon and on arrival, do a spot of sight seeing and then attend the meeting of the Rotary Club of Lisbon, where they were royally welcomed and entertained by the Lisbon Club's President, Vitor Rodrigues de Silva Pires. 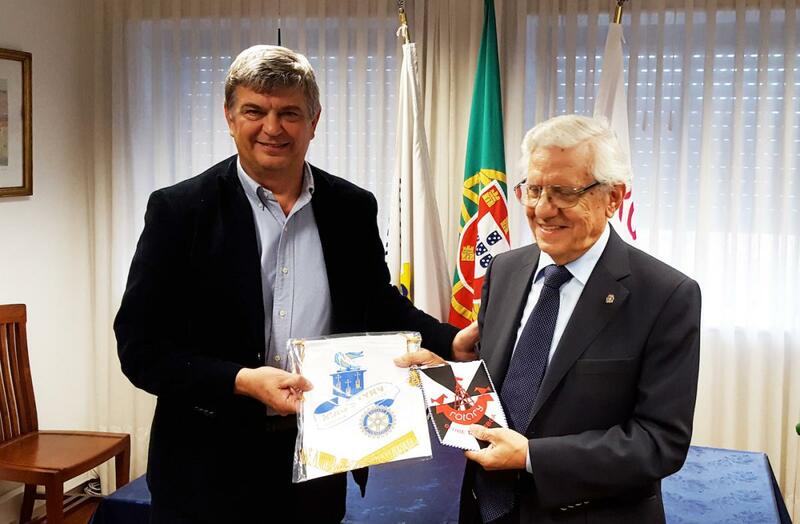 Banners were exchanged between the President of The Rotary Club of King's Lynn, Michael Pellizzaro and the Lisbon President before having to leave to catch the 23.45pm return flight from Lisbon to Stanstead. * The six Rotary Club members were: Michael Pellizzaro (President), Past Presidents Geoff Cheney and Steve Roberts, Rotarians Derek Harvey, Ian Mason and Andy Holford.